Wait, can Lindsay Whalen really play for the Lynx while coaching the Gophers? WNBA players have simultaneously held college coaching positions in the past, including some as head coaches. Perhaps the most notable example is former WNBA great Dawn Staley. 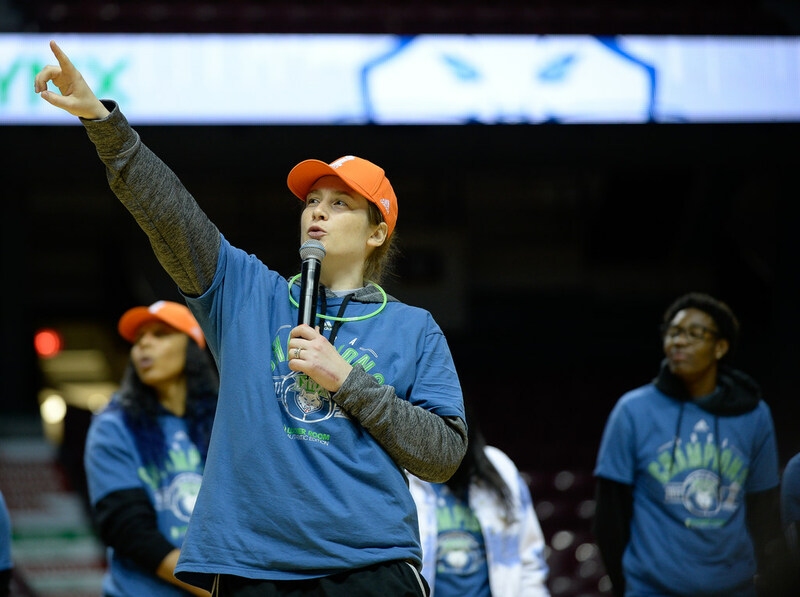 The general reaction to Lindsay Whalen being named coach of the Gophers women’s basketball team has been overwhelmingly positive, but if fans have one “huh?” moment it’s when they learn that Whalen also plans to continue playing for the Lynx. Yes, it’s possible. Not only is there precedent, there is a unique circumstance that will make it easier this season. WNBA players have simultaneously held college coaching positions in the past, including some as head coaches. Perhaps the most notable example is former WNBA great Dawn Staley, who was hired as the Temple women’s basketball coach in 2000 and held that job while also playing in the WNBA all the way through the 2006 season. Overall, she took Temple to the NCAA tournament six times in eight seasons, with four of those appearances coming while she was still an active WNBA player. Whalen will turn 36 next month, so it’s unlikely she’ll hold a dual role as long as Staley did. Even if it’s just for a year, it would certainly present some logistical and recruiting challenges. This sort of arrangement is the exception not the rule. But the structure of this particular WNBA season would at least make it a little more manageable. Why? The league has a more compact schedule this season because of a desire to finish before the FIBA Women’s Basketball World Cup, which starts Sept. 22 in Spain. The Lynx’s regular season last season went from May 14-Sept. 3; this year, it’s from May 20-Aug. 19. They played in Game 5 of the WNBA Finals on Oct. 4; this year’s finals will go no later than Sept. 16, a full 2-3 weeks before the Gophers women’s basketball team starts practice (last year they opened practice Oct. 2). Again, there is more to the job than running practice. There are recruiting evaluation periods the fall squarely in the middle of the WNBA season, and there are times when Whalen will be spread thin and/or have to defer to her assistant coaches. But it’s certainly possible, and it obviously helps that her coaching job is a couple miles from her playing job. Does Whalen's star power outweigh her lack of coaching experience?